Japan Region pricing does not apply. Purchase using options above. 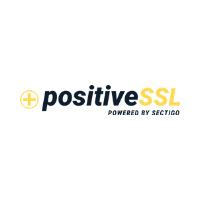 The PositiveSSL certificate is a Domain Validated certificate issued by Sectigo, one of the most trusted certificate authorities in the world. It is the lowest cost certificate we offer, making it ideal for new businesses and websites who want to get the latest encryption without breaking the bank. Issued in minutes. No waiting around for the protection you need. The most affordable certificate offered by Servertastic. Extended Validation and Wildcard options available.